How To Cover Up Acne With Makeup - 10 *Genius* Tips! Woke up to a massive zit? Well hold up on the concealer. We have a list of tips and ways to cover acne and fake flawless skin anytime. Follow this guide to hide those zits like a pro and fake a clear complexion. Ensuring your skin surface is smooth allows for hindrance-free makeup application. 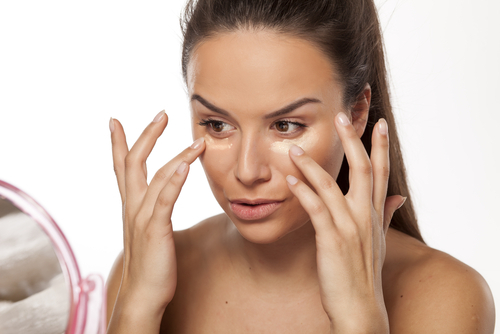 Make sure you exfoliate regularly to avoid any patches from the concealer/foundation. Since cell turnover is promoted by exfoliation, it may help with reducing acne scars as well. However, if you have active acne, choose a chemical exfoliant over a physical one to avoid aggravating the situation. 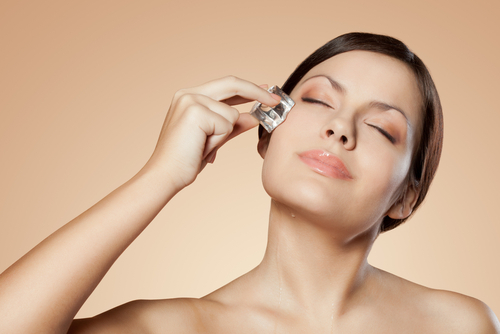 Use an ice cube on your face followed by a pore tightening essence to shrink your pore size. This prevents makeup from settling into pores and gives your skin a flawless finish. It makes your skin look dewy and allows for a smooth base makeup application, which is key to covering imperfections. Applying makeup over moisturised skin ensures that it blends wells and doesn’t look patchy. Refresh your skin with a hydrating mist throughout the day without ruining your makeup. Picking a concealer need not be tricky. Just take into account your skin type and try on the concealer in natural light to get the perfect colour. Choose from formulations varying from liquid to powder and mousse to creams. Each one suits a skin type and sometimes you may need more than one. Make sure it matches your skin tone exactly to effectively hide blemishes. Whether it is active acne or marks left behind, colour correction is the key to faking a perfect skin tone. Use bright colours like purple and red to neutralise the underlying colour of the imperfection and then follow up with a concealer. With so many colour correcting options available in the market, you should try it on before actually buying it, to find your perfect fit. 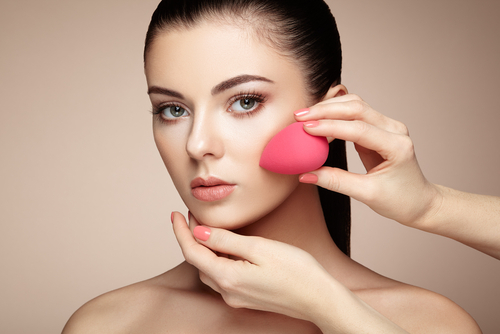 Dab concealer onto your colour corrected spots and imperfections and then blend using a damp makeup sponge for an airbrushed look. 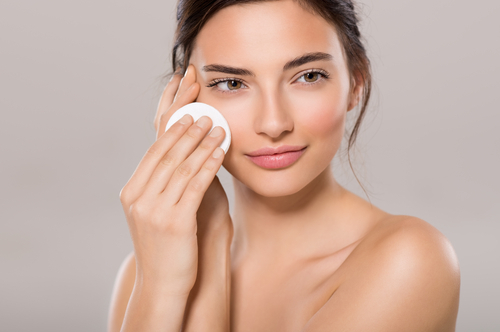 Don’t move the product around too much else your blemishes won’t be hidden completely. Blot it into your spots to blend and cover them up well. We often skip this step but it is so, so important to make your makeup last long. Use a transparent one if you’re uncomfortable with a tinted one, but don’t skip it. It prevents makeup from smudging and holds the concealer and colour corrector in place. 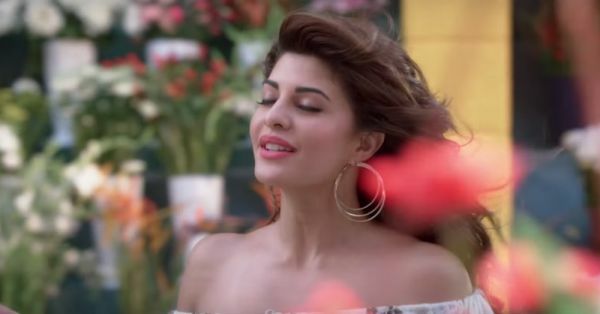 Choose a mist based spray if you have dry skin to avoid looking dull. A foundation completes base makeup as it forms a fine layer over the concealer and primer and gives an illusion of uniformity of skin tone and colour. Which solves the what should you use first - concealer or foundation, question. The answer is foundation over your concealer to even out your skin tone. Use a light mousse if you have oily skin and a liquid or cream foundation if your skin is dry. Again, the key is to blend, so pick a tool of your choice – a damp sponge or brush and blend, blend, blend! Glitter settles into imperfections and open pores and irritates the skin in general so it might be a nice idea to give it a miss entirely. Stick to a fine skin illuminator instead of shimmery products, preferably with zinc for that all over glow without any pore clogging.